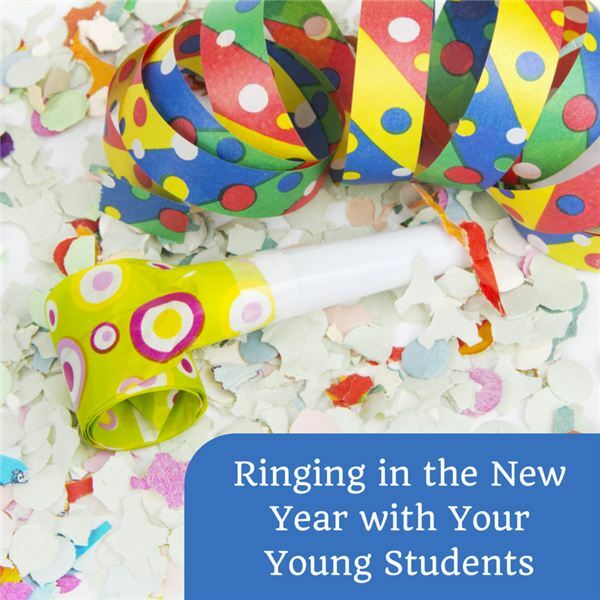 In the practice of tradition, decorate your classroom with streamers, balloons and Happy New Year banners (the use of confetti is another option). Hats and noisemakers are also a must. To make the official countdown fun, gather all your ticking (and electric) clocks and set them for midnight no matter what time of the day your party is happening. Let the bells begin and have a wonderful party! Young children love to make crafts. These are fun to make during your party and take home for further celebrations later with their families. Purchase strong paper bowls or small plates (cardboard type). Encourage the kids to decorate the plates with an assortment of art materials. 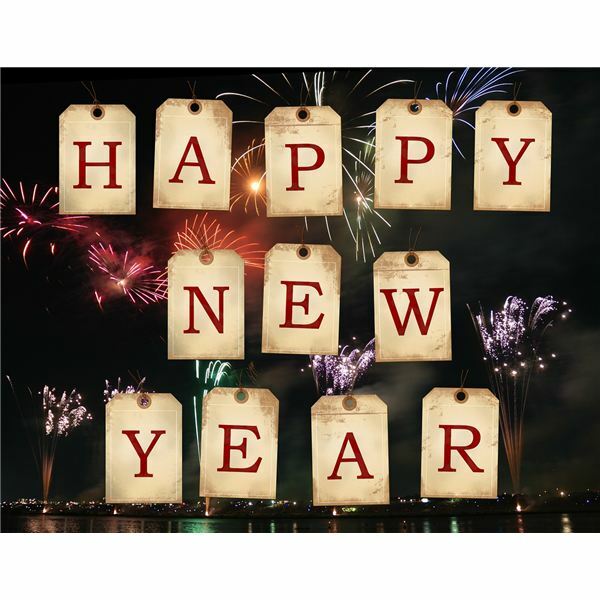 Write “Happy New Year 2015” on one side. You will be making a noisemaker by adding a handful of dried beans. After it is stapled shut, your students can shake, shake and shake it. What makes this craft extremely fun is to add a time capsule element. Have the children draw a picture of their family and tuck this inside before you staple the plates shut. Let the children shake some noise when your clocks strike midnight. Then send them home with a note to store them away (for at least a few years) to bring out in the future and enjoy a memorable moment. Why not make a “New Year’s Tree” –recycle the old and bring in the new! Together take off the holiday ornaments but leave on the lights. With odds and ends, invite the kids to make some New Year’s ornaments for the tree. Think of paper horns, party hats, ribbons, bows and even tying on some wrapped candy with ribbons. What a fun makeover for the standard tree! Decorate a shoebox with colorful paper and let the children decorate as desired. Explain what a “resolution” is and have them (or help them) write down their New Year’s Resolutions for the upcoming year. Have the kids sign the paper and date it. After sending this box home, the children can add a photo and include some party items like a hat, horn or confetti from your event. The students can store these boxes at home and make it a tradition to add more items each year. What wonderful memories to keep! Squirt school glue round and round in a fireworks design on black construction paper. Sprinkle different colored glitter onto the wet glue. Talk about how fireworks are used to celebrate the midnight hour. On New Year’s Day, people in the southern United States fill up on greens and Hoppin’ John—black-eyed peas and rice, often with onions and bacon mixed in. Some say each pea eaten represents a dollar to be gained in the coming year; for others, the peas symbolize pennies and the greens dollars. Delegate a parent to make this dish for the party. In Greece, New Year’s Eve celebrations are not complete without Saint Basil’s cake, or Vasilopita, into which a gold or silver coin is baked. Another option, available at craft stores, is a small charm in the shape of a baby (representing the New Year). The cake gets cut ceremoniously—one piece for Saint Basil, one for the house, one for the poor and one for each member of the family (for school, one for the class and a small piece for each student). The person who finds the coin or charm in their piece carries good luck into the next year. Again, try to find a parent who will bake this special cake. This great punch is always a hit at a party, because it’s very thirst quenching and colorful. Sometimes it’s fun to scoop some sherbet (your choice of flavors) into this punch for a frothy party punch. Ladle this punch into clear plastic cups for the children. Have your child spread cream cheese on the outside of a sugar ice cream cone. Next, provide your child with healthy things to decorate the edible hat, such as carrot shavings, raisins, and dried cranberries. Finally, eat and enjoy—YUMMY! Arrange chairs in a circle. Each player sits in a chair. The teacher recites this chant and then rings a bell. If twelve rings sound, players say, “Happy New Year” and change seats. If less than twelve rings sound, the players remain seated. Keep playing as long as there is attention. This game is great for counting skills. This is the twelve bells song. Listen to all the bell sounds. Until a new chair is found. Let’s go and have some fun.